Demonstrative reference is central to human communication. But what influences our choice of demonstrative forms such as “this” and “that” in discourse? Previous literature has mapped the use of such “proximal” and “distal” demonstratives onto spatial properties of referents, such as their distance from the speaker. We investigated whether object semantics, and specifically functional properties of referents, also influence speakers’ choices of either demonstrative form. Over two experiments, we presented English, Danish and Italian speakers with words denoting animate and inanimate objects, differing in size and harmfulness, and asked them to match them with a proximal or a distal demonstrative. Objects that offer more affordances for manipulation (smaller and harmless) elicited significantly more proximal demonstratives. These effects were stronger for inanimate referents, in line with the predictions of sensory-functional views on object semantics. These results suggest that demonstrative use may be partly grounded on manual affordances, and hints at the possibility of using demonstratives as a proxy to investigate the organization of semantic knowledge. 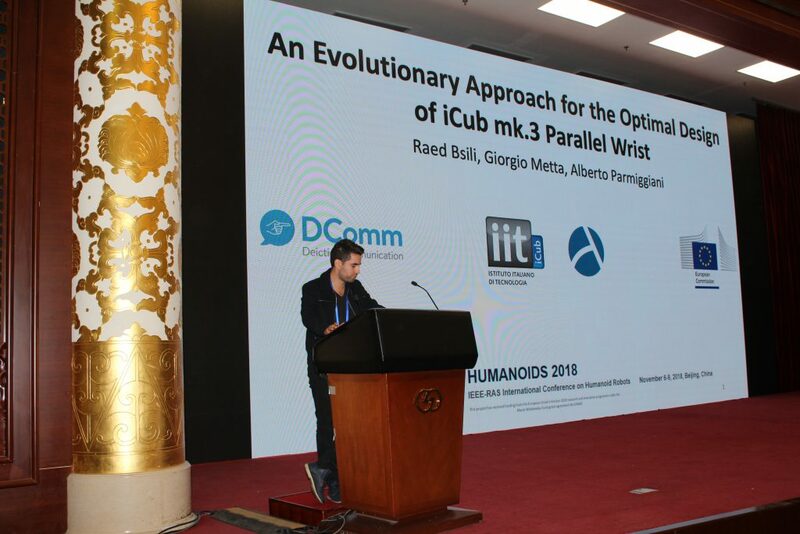 Researcher Raed Bsili recently travelled to Beijing to present the paper ‘An Evolutionary Approach for the Optimal Design of the iCub mk.3 Parallel Wrist’ (R Bsili, G Metta, A Parmiggiani, 2018) at the IEEE-RAS 18th International Conference on Humanoid Robots. 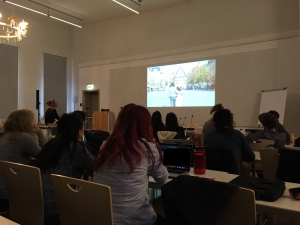 On the this training course, hosted by Friedrich Schiller University Jena, researchers participated in a full day video workshop to learn how to make, shoot, cut and present videos particularly to enable ESRs to showcase their research. 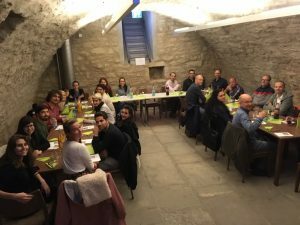 On the second day, following linguistics lectures from Karsten Schmidtke-Bode and Christoph Rzymski, ESRs discussed academic skills and possible research collaborations. For the third Training School, Researchers and PIs were welcomed by the Head of the Department of Language and Literature at NTNU, Professor Annlaug I. Bjørsnøs There was then an opportunity to consider individual variation in predictive language process and to further consider developmental systems and developmental language disorders. On the second day ESRs received a talk about Research Ethics and career prospects. 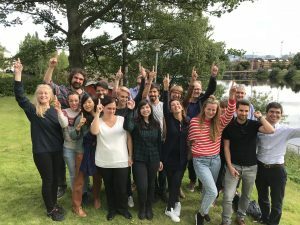 ESR Patricia González Peña will give a talk at the AttLis 2018 conference, organised by NNTU Trondheim, 29th– 31st of August. Patricia, who is hosted by the University of East Anglia, will present her findings on the development of demonstrative words at the talk Effect of distance and ownership on the use of demonstratives in development. 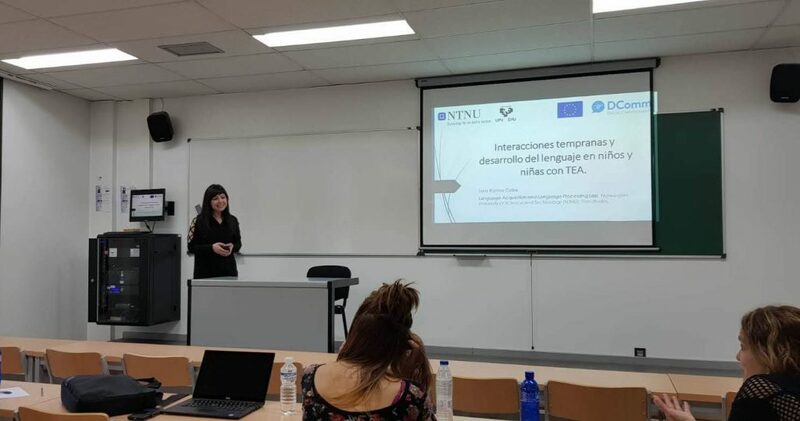 ESR Sara Ramos Cabo from the Language Acquisition and Language Processing Lab at NTNU, recently gave a talk about her project at a Seminar organised by co-supervisor, Professor Joana Acha Morcillo, at the University of the Basque Country (Faculty of Psychology). 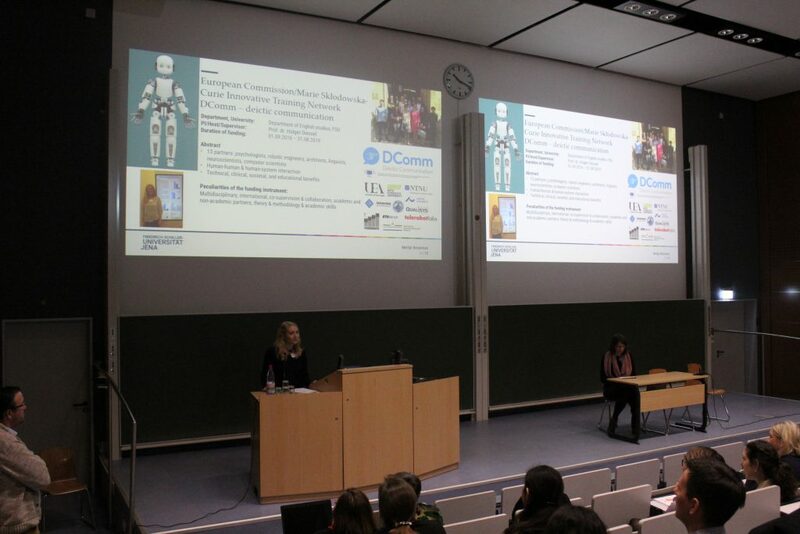 At a recent event for prospective PhD students and current post-docs, ESR Merlijn Breunesse shared her experience of being a Marie Sklodowska-Curie Fellow on the DCOMM Grant. The event, joining organised by the Freidrich-Schiller-Universität Jena and KoWi (Kooperationsstelle EU der Wissenschaftsorganisationen), considered ‘Research in Europe’ and funding mechanisms.